​Currently, on the 1st & 3rd Tuesday evenings of each month, Dragonflower owner & certified Usui Reiki Master, Alison B, will remotely send FREE distance Reiki, to everyone subscribed to our Dragonflower Mailing List. All you need to do is subscribe to our mailing list (see below). We will post reminders for the dates of upcoming Reiki Healings sent to our group of mailing list members. Please visit our Dragonflower Facebook page, as well as this Dragonflower website to keep updated. After subscribing, the only thing you need to do to receive this beautiful loving Reiki Healing Energy is to set your intention to receive it, and ask your Higher Self to direct it for your highest good in whatever areas you need healing in mind, body, and Spirit. Your Reiki Master Alison B. transmits the healing energy "remotely" through meditation, and schedules it in the evening hours at a time when most people are relaxing and preparing for sleep. The unlimited energetic abilities of Reiki allow it to be sent across distance, time, and space from the practitioner to the receiver. An energy healer doing distance healing’s can frequently sense the energy field of the person receiving the healing energy, and many times can sense the spiritual presence of the healee and provide healing equally effectively if the person is in the same room or across the world. After setting your intention in your thoughts to receive the Reiki, it will be most beneficial for you if you're able to relax, sit quietly, recline, or sleep during the Reiki transmission. However, it is not necessary to do so, and as long as set your intention to receive it, you could do other activities such as watch a humorous TV show, read, fold laundry, etc. How great would it be though, if you could set aside these 15-20 minutes for your own self-care, to simply have quiet time & refresh? Alison sends the healings at 11:30pm EST (Eastern Standard Time) on the 1st & 3rd Tuesdays of each month, and your session lasts for about 15-20 minutes. ​Reiki (pronounced "Ray Key") is a Japanese healing art used for stress reduction, deep relaxation, and pain relief that also promotes healing in mind, body & spirit. The name is a combination of two Japanese words “rei” and “ki”, meaning "universal life force energy". 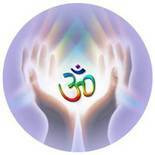 Reiki is not connected to any religion or any religious beliefs. Reiki is intelligent loving energy, being the positive life force itself which flows through all things, and it knows where healing and balance is needed within each individual. It's essence is that of pure Divine Love energy. Reiki is a gentle technique that can be done “hands-on” in person, or remotely over a distance, as the universal life-force energy channeled by the Reiki Master is not confined by the dimensions of space and time. The Reiki Practitioner channels the "life force energy" to help people activate their own innate healing processes. Reiki harmonizes the subtle energies within our bodies and addresses physical, emotional, mental and spiritual imbalances. The wonderful healing properties of Reiki know no boundaries. Reiki energy can be sent to anyone or anything anywhere across the world. Reiki is most beneficial when done regularly or in a series of sessions, but even one session is rejuvenating. Reiki is now offered in many hospitals across the U.S. and it also works very safely in conjunction with all other medical or therapeutic techniques to help relieve side effects and promote recovery. A Reiki treatment feels like a calm glowing radiance that flows through and around you and gives many people feelings of peace, security and well being. Most people become deeply relaxed during a session, but sometimes you may also feel slight sensations of heat or cold, tingling, or small muscle twitches etc… these are all normal & are simply caused by energy gently moving in your body. You will be fully clothed except for your shoes. Your Reiki Practitioner will ask you to lay down on a zero-gravity recliner, massage table, or sit in a comfy chair (if you’re unable to recline comfortably). 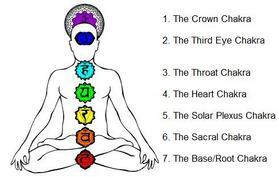 During the Reiki healing session, your Reiki Master will position her hands lightly on, or a few inches above, different parts of your body, from your head to your toes, that relate directly to the seven main Chakras (or energy centers). A full session takes approximately one hour and your Reiki Master Alison also includes gentle relaxation music and aromatherapy as an added benefit. **Please note: Reiki and other healing arts modalities are intended as complementary health care only, and should not be a substitute for medical advice. Please seek the advice of a medical doctor for any health concerns. Dragonflower Energy Arts does not diagnose, treat, or cure any medical conditions and does not offer any recommendations for medical care.